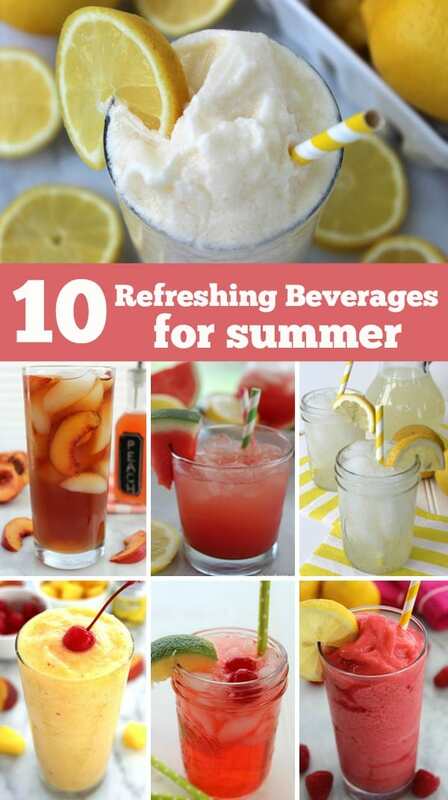 Looking for some refreshing beverages for summer? If so, be sure to check out this roundup with some of the great drink recipes I have shared with you. These are my favorites that we make VERY often. Lemonades, teas, slushies and more! Perfect for keeping cool on a hot summer day! To see each recipe, you will want to click the forward arrows below. You can then click on the photo or the links in the description to see each recipe details.